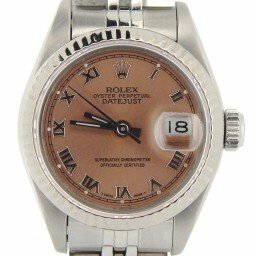 If you’re in the market to buy a Datejust watch, you’ll find the best value when purchasing a used Rolex Datejust. 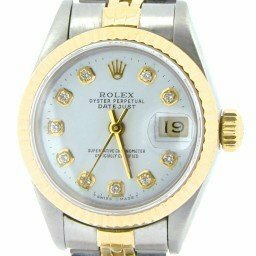 Our huge selection of pre-owned Rolex Datejust watches offers both ladies and mens watches in stainless steel, two tone, and yellow gold. 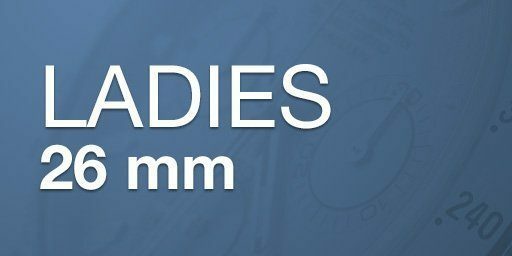 Plus our lady Datejusts offer additional elegance in white gold and tridor. 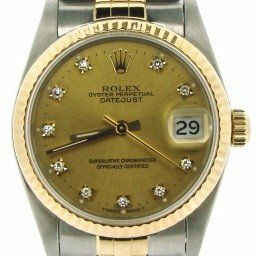 Whether you are looking for a Rolex Datejust mens two tone or ladies 18K yellow gold timepiece, we have a price to fit your style and budget. 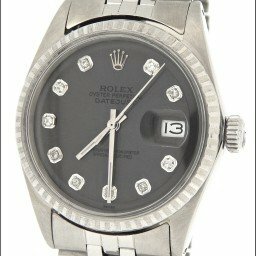 We also offer a 30-day return policy and Lifetime TradeUp guarantee for qualified watches. 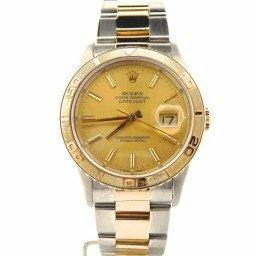 So, if you’re looking for precision and reliability with a classic look, a used Rolex Datejust is the perfect choice. 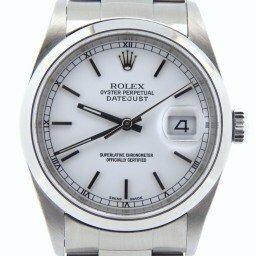 Launched in 1945, the Datejust was the first self-winding chronometer with an automatic calendar feature. The date wheel would advance to the next date “just in time” at midnight. 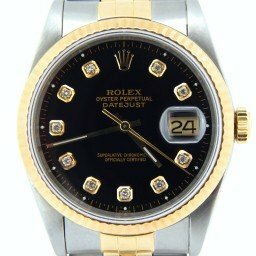 Hence, the name “Datejust.” In 1954, Rolex added the first Cyclops date magnification bubble on the crystal. 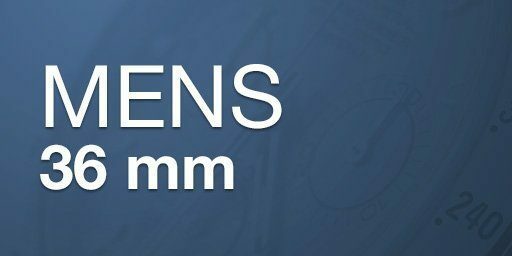 This Cyclops feature magnifies the date two and a half times for improved legibility. 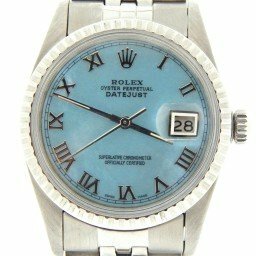 Ever Wonder About the Rolex Datejust Story Surrounding Your Favorite Rolex? Well, stick with us. 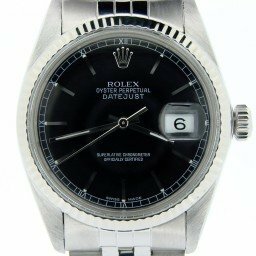 First up, let’s take a look at the iconic Datejust. 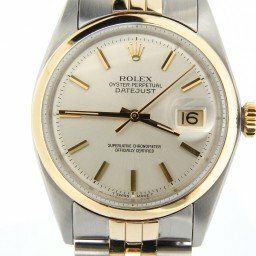 Our Rolex Datejust facts take us back decades. 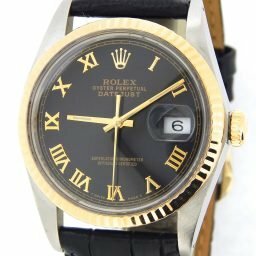 No doubt, the Datejust is arguably THE iconic Rolex dress watch – and probably number two on the Rolex roster behind the Submariner. 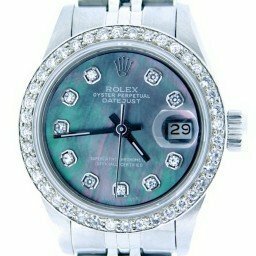 The Rolex Datejust comes in four flavors, not counting the Lady and Oysterquartz versions. But we’ll cover those in future posts. The four we’ll discuss here are the Datejust, the Datejust Midsize, the Datejust Turn-O-Graph, and the recently introduced Datejust II. 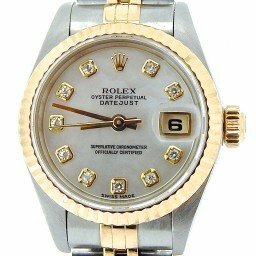 In 1945, they introduced the 36mm Datejust as the Jubilee Datejust to celebrate Rolex’s 40th anniversary. That first version, a ref. 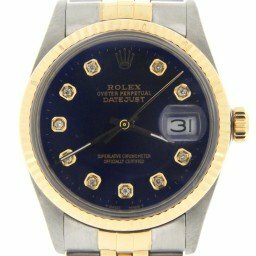 4467, was a bubbleback and was only available in 18K gold. 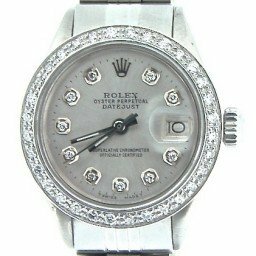 Our Rolex Datejust facts reveal that when that watch was first introduced, Rolex took out an ad in the Tribune de Geneve, announcing the watch. 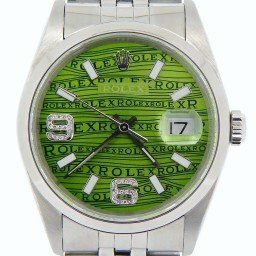 But the first 100 pieces were not available from Rolex retailers. Apparently, the only way people could get one was by participating in a lottery, which they entered by mailing in a coupon from the newspaper ad. 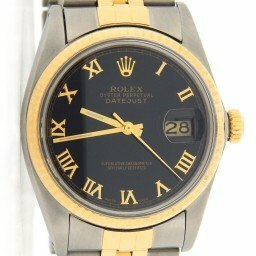 On December 19, 1950, it was a solid gold Datejust, ref. 6305, not a Day Date, that was given to future President Dwight D. Eisenhower. This was to commemorate the victory of WWII. 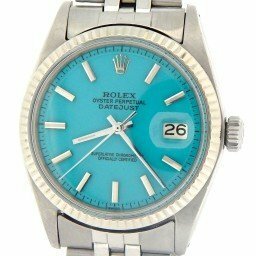 In fact, it was the 150,000th certified chronometer that Rolex produced. 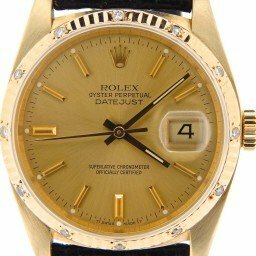 Now, you may have seen photos of Ike wearing his Datejust and noticed it has a cyclops crystal – even though he received his watch in 1950 before the cyclops was introduced. 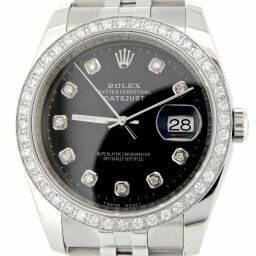 That’s because Rolex retrofitted his watch with the newer crystal during a routine maintenance. 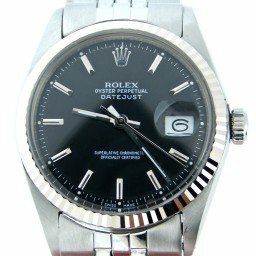 In 2009, Rolex introduced the Datejust II. The fact is, this is a larger 41mm version of the Datejust as a nod to the developing trend in larger watches. 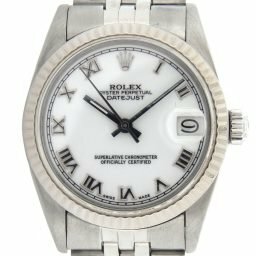 Discover more about this growing trend for mens full size Rolex watches and the models following this direction. 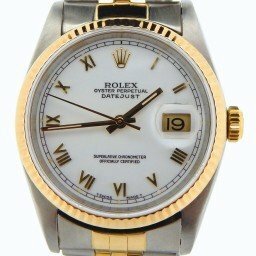 The Datejust Midsize is the 31mm version of the Datejust. 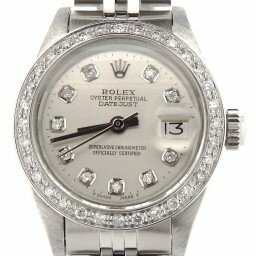 Since 2014, it was known as the Datejust Lady 31. 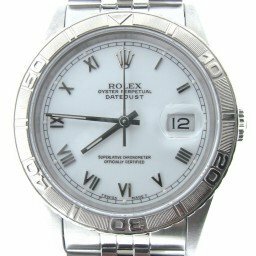 In that guise it features Roman numerals or jewels for hour markers on the dial, and is available in a wide variety of metals, bezels, and dials. 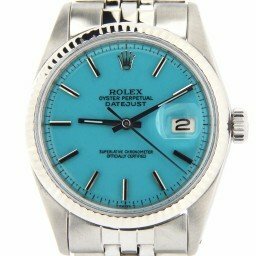 Rolex labeled the Datejust Turn-O-Graph the “Thunderbird.” In the 1950’s, pilots originally favored this timepiece due to its rotating bezel with minute indication. However, they discontinued it in the late 1970s, due to lagging sales. 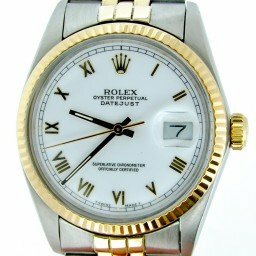 In the early 2000’s, Rolex introduced a modern version, however, they soon discontinued it again due to lack of consumer interest. 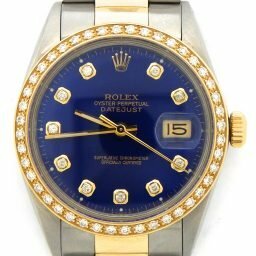 When asked what the most significant model is in the Rolex catalog, many Rolex fans are likely to point the iconic Submariner, or perhaps the Daytona, or even the flagship Day Date. 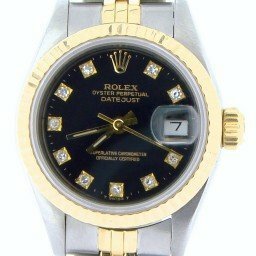 But no model has proven to be more pivotal to Rolex’s enduring global success than the Datejust. 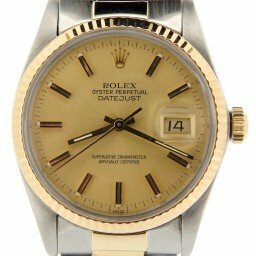 The first example of the Datejust was released in 1945 in 18k gold as the model 4467 – known now by many collectors as the “Big Bubbleback”. The original “Bubbleback” Rolex models were so named for the bulging caseback needed to house the classic caliber 10 ½ Hunter. 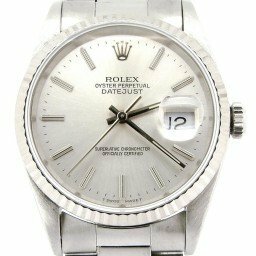 A modified variant of this movement ended up in the first Rolex Datejust, which featured a sweep seconds hand and a date wheel which was visible through a dial aperture at the 3 o’clock position. 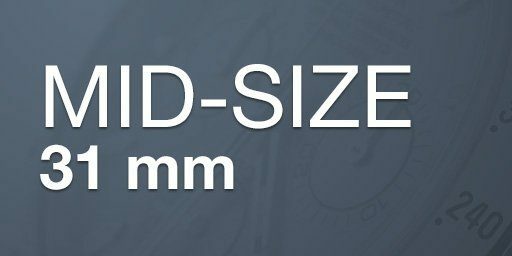 The additional components added even more thickness to the movement and in turn the case back, leading to the “Big Bubbleback” nickname. 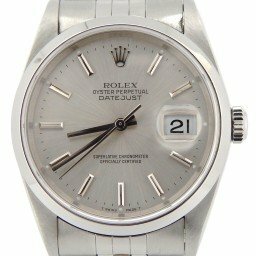 In 1954 Rolex introduced the cyclops over the date window.  Then, in 1957, they introduced the stainless steel version of the Datejust. Consequently, it began outselling the gold version. 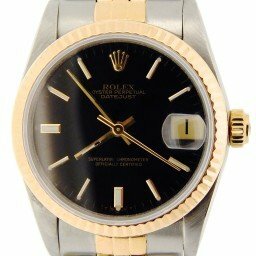 As a result, It was 1962 when Rolex introduced a stainless and gold version. 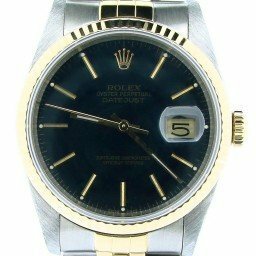 Fast forward to the late 1970’s and the Datejust would see several updates which significantly alter the model from its original design. 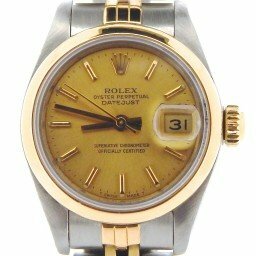 Rolex began using their caliber 3035 with its “quick set date” feature – no longer did users have to make the hour hand spin around 12 o’clock 2 times to advance the date wheel one day. 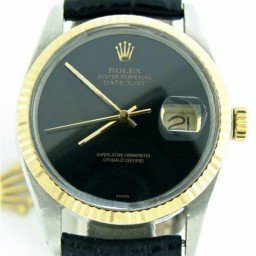 The Rolex caliber 3035 also had a thinner profile which in turn allowed the Datejust case to be correspondingly thinner, and the old “pie pan” dial was also replaced. 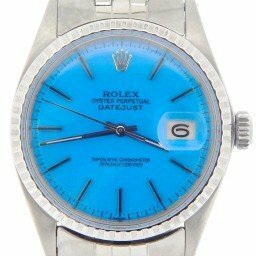 Finally, in 1988 Rolex did away with the classic plastic crystal and replaced it with a scratch resistant sapphire crystal. 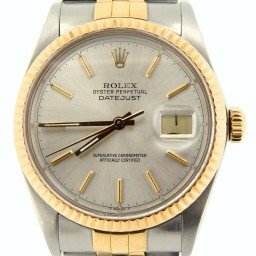 1945 Rolex introduces the first Datejust model 4467 – a modified Bubbleback which included a date wheel. 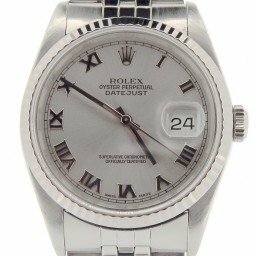 The first Datejust was 36mm, but later a 2mm smaller version called the Oyster Date was introduced. 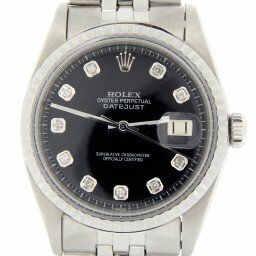 1954 Rolex adds the instantly recognizable date magnifying cyclops to the crystal of the Datejust. 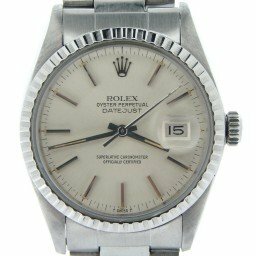 1956 Rolex releases Datejust Thunderbird model with a Turn-O-Graph Bezel. 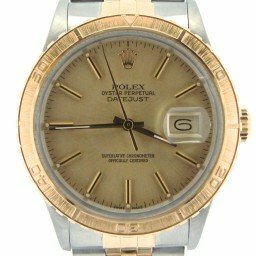 1977 The quickset date feature was introduced on the Datejust. 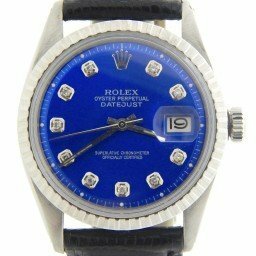 1988 Rolex introduces a sapphire crystal for the Datejust, replacing the venerable plastic crystal. 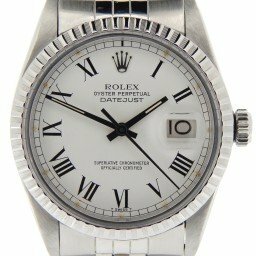 1994 Rolex removes the holes on the case lugs of the Datejust. 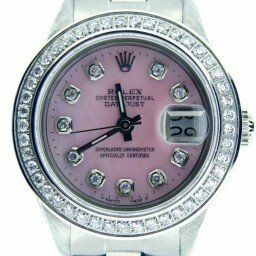 2005 The Rolex hidden clasp is introduced on the men’s Datejust Jubilee bracelet. 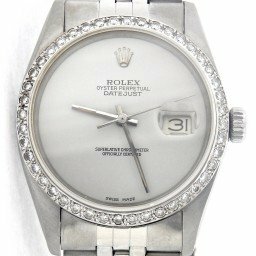 2009 Rolex introduces the Rolex Datejust II at Baselworld – a full 5mm larger in diameter at 41mm than the traditional 36mm Datejust.